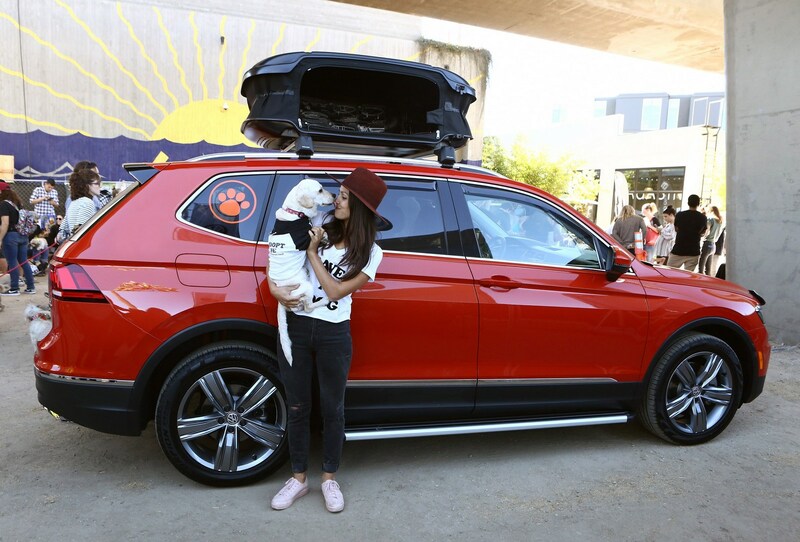 Volkswagen has unveiled the new Tiguan Accessories concept at the Wags, Wheels and Waffles charity event in California. 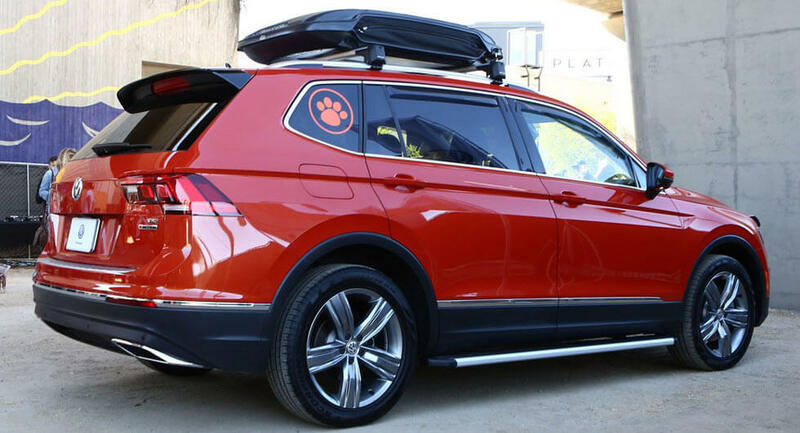 Since the event is focused on raising funds to help find homes for rescued animals, the Tiguan Accessories concept is an pet-friendly crossover which is based on the seven-seat Tiguan SEL Premium. Starting with the exterior, the concept has been equipped with 19-inch Victoria Falls wheels which have a custom anthracite gray finish. 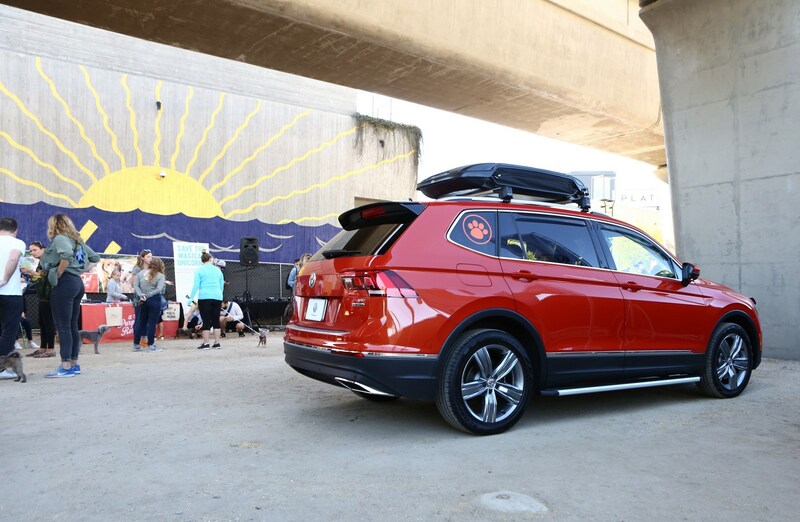 The crossover also features an Urban Loader cargo box which can hold up to 17.7 cubic feet (501.2 liters) of luggage. Rounding out the exterior changes are aluminum side steps and side window deflectors. 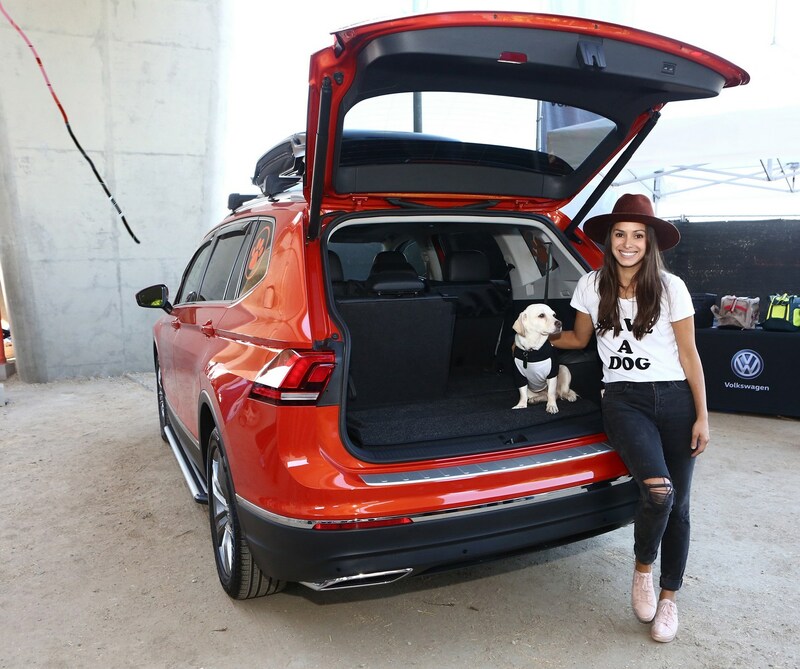 Volkswagen didn't release interior photos but the company said the concept has all-season floor mats, custom seat covers, and a Kurgo Tru-Fit dog car harness. There's also a heavy-duty trunk liner and a WeatherTech PetSTEP ramp. Last but not least, the model has a universal tablet mount in the second row that can be used to hold a variety of tablets. The concept is powered by a 2.0-liter TSI four-cylinder engine that produces 184 hp (137 kW) and 221 lb-ft (299 Nm) of torque. It is connected to an eight-speed automatic transmission and a 4Motion all-wheel drive system.